Experience Prevails at 2014 US Nationals in Worthington! 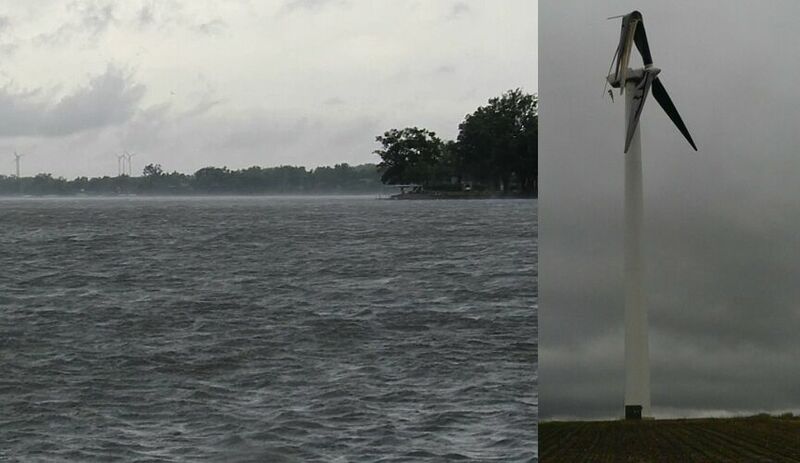 Lake Okabena in beautiful Worthington, Minnesota is barely two miles across, and yet on June 11-15, in the span of five days of intense competition, it threw an amazing display of conditions at the racers gathered there for the 2014 US Windsurfing Nationals: 0 to 40 knots, wind from all directions on the compass, 45-75℉ air temperature, sun, rain, flooding and enough lightning in the air to literally fry a wind turbine! 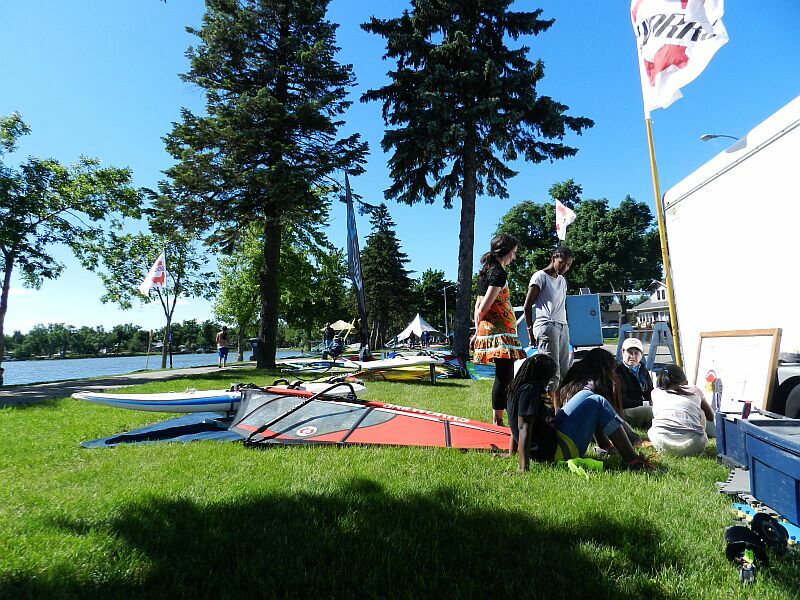 This marquee event on the US national racing calendar had it all: challenging conditions and tight course racing action for the raceboard, kona, formula and sports fleets featured at the Championships; free windsurfing instruction for dozens of onlookers, courtesy of Roger Jackson and Ellen Faller (thank you! ); mad slalom heats on the days when the wind was at its fiercest, marking an auspicious start to the recently announced 2014 US Slalom National Racing Tour; thousands of spectators; live television coverage; and an amazing arts and music festival in the evenings! 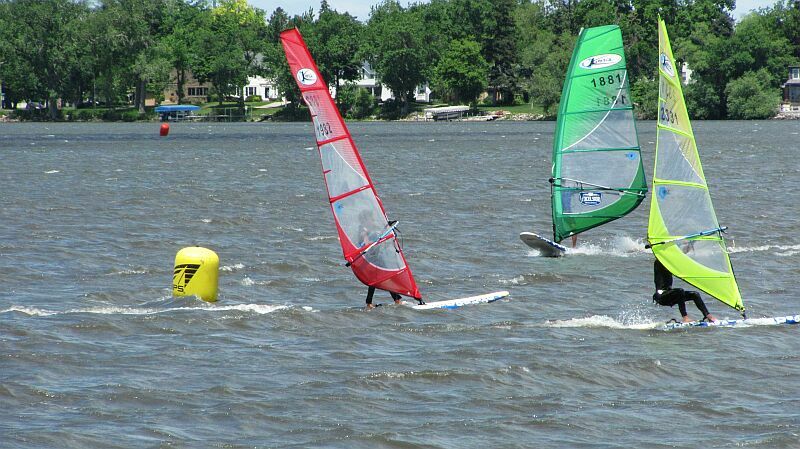 Free Windsurfing Instruction at the US Nationals! 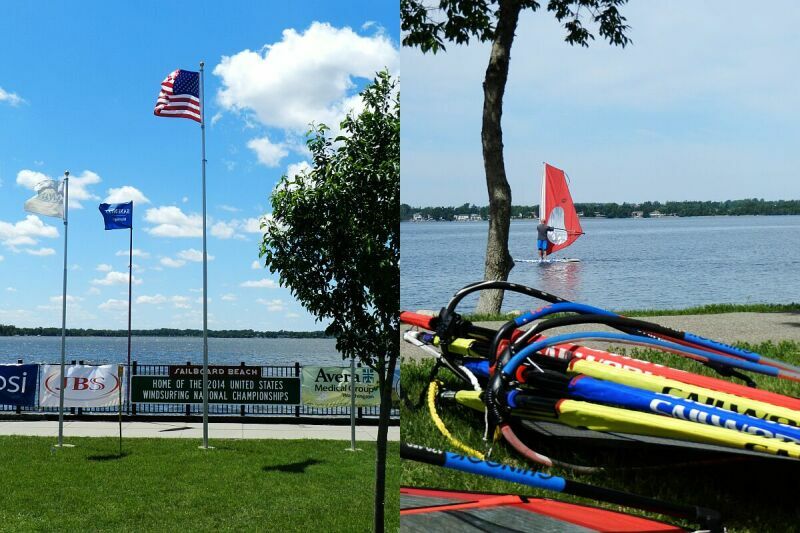 Read Xavier’s full testimonial here: Inside the Ropes at the 2014 US Windsurfing Nationals! 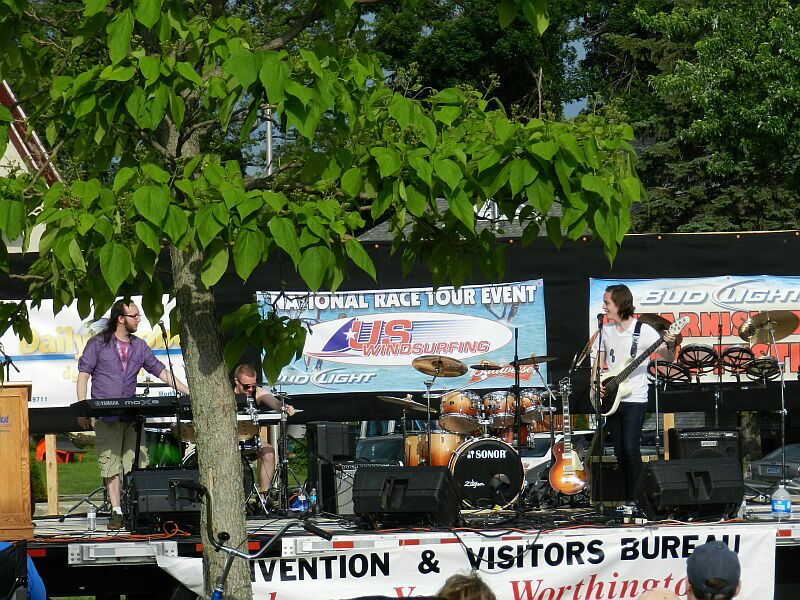 Rock Band Narrow Vines on the main stage at the US Windsurfing Nationals! 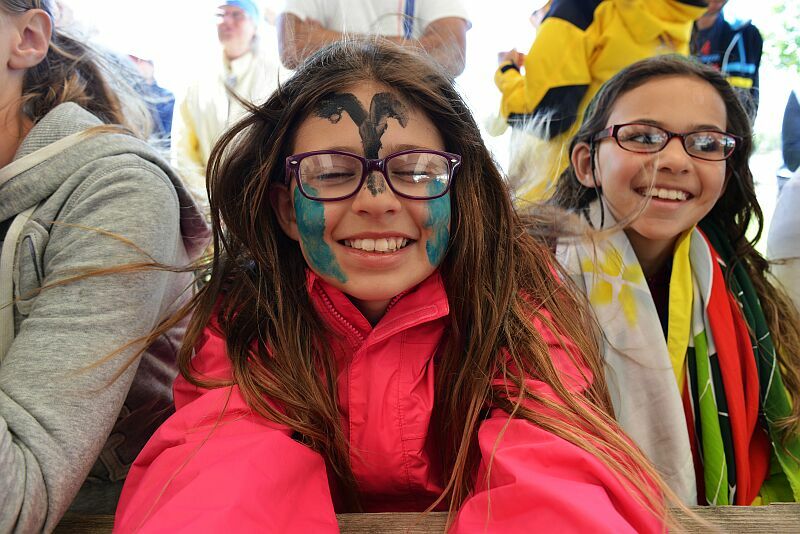 Read Bill’s full recap here: On Stage at the 2014 US Windsurfing Nationals! Xavier wasn’t alone on the top step of the podium in Worthington: Mark Boersma (above) won the raceboard national title, Steve Gottlieb (below in the red sail) leaped to the front of the standings on the last day to take the Kona title, and Kelly Johnson took the crown in the Sports fleet. You’ll find all the results here courtesy of our friends at Mowind. 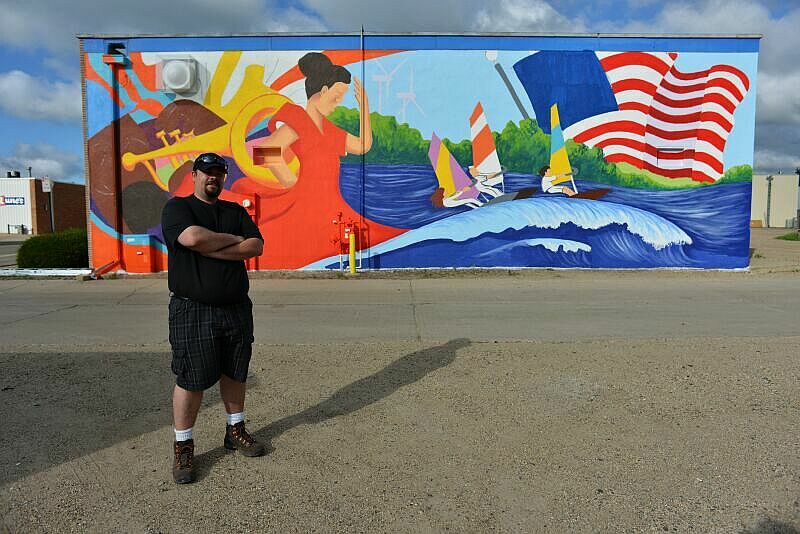 A big thank you to the city of Worthington, The Worthington Area Chamber of Commerce, the Convention and Visitors Bureau of Worthington, the Worthington Okabena Windsurfers, the Daily Globe, Mowind, Jeff Hegwer and his team, and all the sponsors, supporters and spectators who made it all possible. Enjoy Xavier’s and Bill’s testimonials, and start making plans for the 2015 US Windsurfing National Championships at Cabrillo Beach next summer! 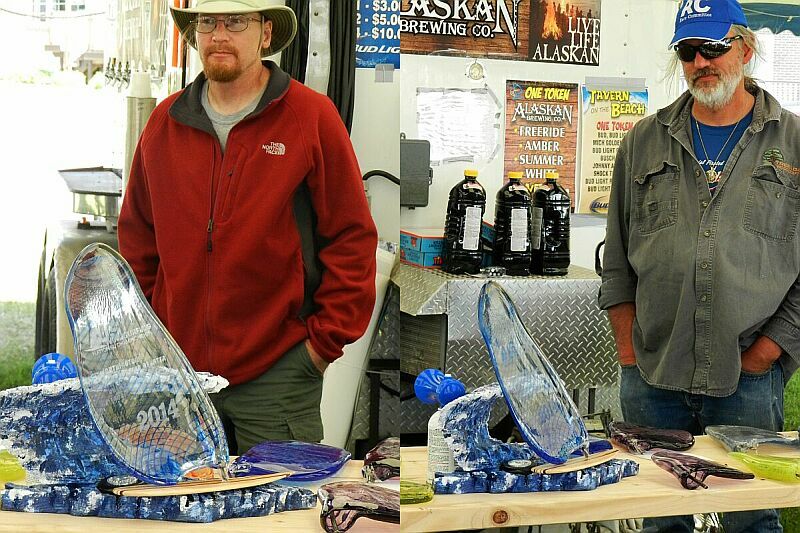 Artists Jeff Adamski and Jeff Hegwer and the gorgeous trophies they designed for the event! Next story Slalom Standings after Event #1 Are Up! Previous story Waddell Creek to kickstart the 2014 AWT!